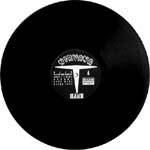 '34' is handwritten on side a label. 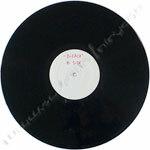 side b label is blank. the few copies surfaced all come from the sub pop offices. they have been pressed with different plates from those used for the regular issues, as testified by the matrix. notes white labels with handwritten titles. 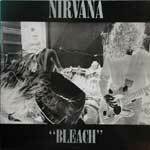 from a subpop employee: There was a combined re-test for two records with side B of Bleach on one side and side B of of a four-track 45 rpm promotional 12" for Steven Jesse Bernstein's "Prison" album, "The Sport/ No No Man" (SP 101). 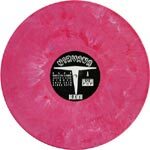 the vinyl may not be perfectly white and have faint black smudges, as sometimes bits of different colour get into the mix, or get stuck in the machines from previous pressings. some early copies include a folded poster, some others an A4 form promoting the singles club. 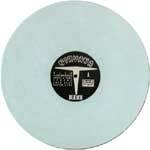 notes after the success of nevermind, a repress was made, in many different vinyl colours. 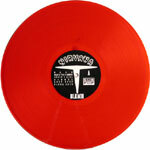 this is known as the 'erika' repress, from the name of the pressing plant mainly used by subpop at the time. 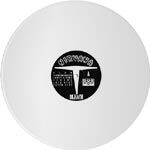 as subpop owed money to erika, they allowed the plant to press and distribute some records. 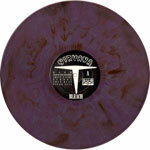 between them there were also the sliver 7" repressings in coloured vinyls. to achieve the marbled effect vinyl pellets of different colours are introduced in the mix with the basic colour, so each record may differ in the basic shade, and in the amount and colour of the 'marbling', as pictured for some of the colours. 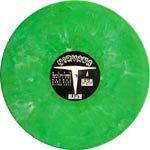 a green sticker is attached to the front sleeve or to the plastic wrap, except for the marbled light pink vinyls which usually have a white sticker as those used in the green copies of the molly's lips 7"
from a subpop employee: Those records were part of a batch pressed around the time that Nevermind was released. 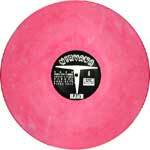 The pressing was primarily black vinyl but some colored vinyl was ordered. 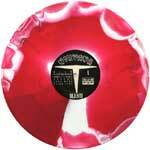 Now, at that point in time Sub Pop often did not specify a particular color of vinyl when ordering colored vinyl. This was because it could cause long delays if the plant didn't have that particular color in stock. They usually left it up to the plant to use what was available. Now I didn't place the order but as I recall the plant took it upon themselves to press a small number of "white" records as part of the colored run. I'm sorry, I can't remember for sure how many were pressed but I think it was around 200. 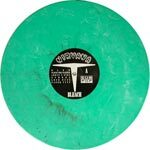 Many people at Sub Pop (including myself) were concerned that these records might be passed off as from the 1st pressing so they were careful with where they ended up. I suspect that most ended up in the collections of employees or other bands. I grabbed a couple "for my retirement." A few may have gone to journalists or special friends and I'm sure some were sold. Any that were sold were probably sold as "colored vinyl" not specifically as "white vinyl". as usually happens with marbled vinyls the appearance may vary a lot, in the overall shade, the amount of marbling and the presence of bits of vinyl of different colours. 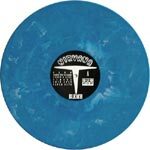 limited release of 500 copies, sold in europe shrinkwrapped with a blue vinyl sliver 7". 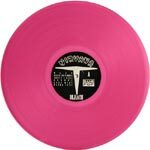 a number of copies have appeared which don't have the 7" and sticker. this either means that there were copies sold alone (so there are more than 500 total), or that the owner threw away the sticker with the wrap, and kept the two records separately. 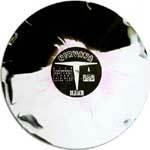 notes marbled black and white vinyl with pink streaks near the labels. the owner bought it in 1998 at a french record fair, from an english seller. differs from the second pressing in the matrix, and can also be recognized by some sleeve details: on the top front, the 'nirvana' writing is smaller and in a different position, on the back bottom, the credits are different, including also a web address, and there's a barcode on the right.